Green faces trial over the alleged fraudulent acquisition of Rangers' assets in 2012. Rangers say they will "vigorously pursue" former chief executive Charles Green for legal costs. Green claimed his contract entitled him to legal expenses for any court action arising from his time at Ibrox. But the Championship leaders have announced that an appeal from Green's legal team against an earlier court ruling on his expenses has failed. He will now have to pay for his own defence against charges relating to the acquisition of Rangers in 2012. 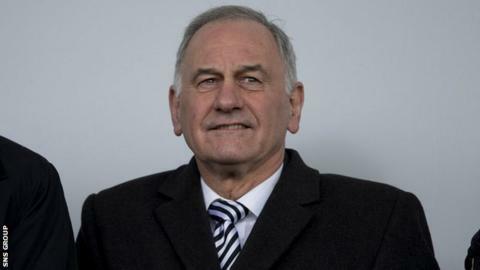 A Rangers statement read: "We are pleased to advise that the appeal by Charles Green against the decision of the Lord Ordinary to dismiss his application to have Rangers International Football Club PLC meet the expenses of the criminal proceedings brought against him has been refused. "Lady Dorrian, Lord Bracadale and Lord Malcolm sitting in the Inner House of the Court of Session unanimously reached this decision." Rangers chairman Dave King added: "We are unsurprised but delighted that this latest court success brings to an end the unjustifiable claims by Charles Green. "He is now totally responsible for the cost of defending himself in the criminal case brought against him for his dealings with the club. "Furthermore, we will vigorously pursue Charles Green for recovery of the legal costs that we incurred including the £50,000 lodged with the court as a caution." Green, who left his Rangers role in April 2013, had his initial legal bid to force the club to pay his legal fees rejected in November. Going to the Well: Can fans be owners? Read more on Can Motherwell fans make a success of owning their club?